Todd Stephens, a GOP candidate for Attorney General, is striking back against allegations that he is insufficiently pro-life or an ally of Planned Parenthood. Last Thursday, Stephens’ primary opponent John Rafferty won the endorsement of the President of the Pennsylvania Pro-Life Federation Susan Rogacs. Rogacs based her support on her statement that Rafferty had a 0% score from Planned Parenthood while Stephens had a 100% score. The letter then goes on to detail four such votes including support for Act 122 and Act 13. Unfortunately, the pro-life lobby doesn’t always do their homework. They’ve endorsed plenty of incumbent Republicans who voted to fund Planned Parenthood even when they had primary challengers who said they wouldn’t. If they want to be effective in advancing their agenda they should be more willing to go after incumbents who campaign as pro-life but don’t walk the walk. Those amendments Mr. Stephens supported were fully backed by Planned Parenthood and were designed to gut the bills. If Mr. Stephens had had his way on those votes, preborn children and their mothers would have been left unprotected. His rhetoric here does not match his record. The only liberal Republican in this race is John Rafferty. Paycheck protection, pension reform, liquor…John Rafferry is responsible for holding all of those issues up in the Senate under Corbett. Now when he is running for AG and we have a democratic Governor he votes to support them? Proves that John Rafferty will do anything and say anything to get elected. He’s the epitome of a career establishment politician. 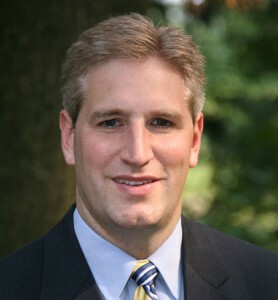 I still don’t understand why Todd Stephens is running for Attorney General. He’s a liberal Republican from the southeast who doesn’t even have the support of liberal Republicans from the southeast. Todd Stephens’ problem is that Planned Parenthood picked those votes because they are the ones they pushed. Todd voted for those bill 100% of the times. Good luck winning a Republican nomination with that record. OMG, PA GOP has come to this: arguing who is more of a zealot about Planned Parenthood defunding, anti-abortion, etc. Why not just go the full-Nazi like Trump?